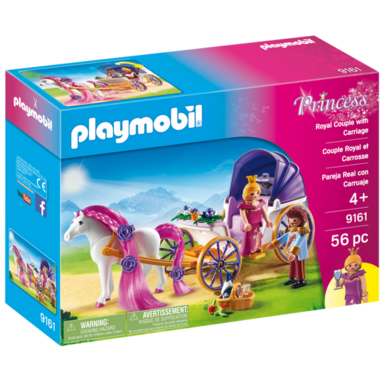 Enter the magical world of the PLAYMOBIL kingdom with this stunning playset from PLAYMOBIL Princess. A soothing blue sky rests above the entire land and the royalties, their friends and the rest of the land’s inhabitants are enjoying another exciting day full of fun and adventure. One of the royal couples has decided to spend their day having a picnic in the forest. Let the happy couple reach their destination in style by sending them off in the royal horse carriage, attached to one of the household’s best horses. 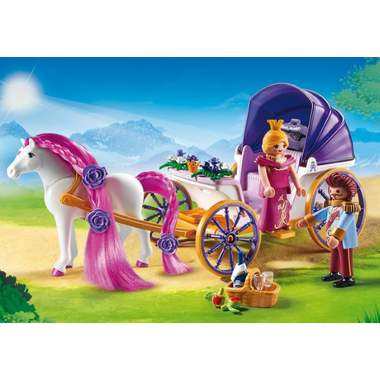 You can also style the horse by braiding its pink mane and adorning it with flower hair clips. Place the figures inside the carriage, and in case it gets windy or chilly, you can simply fold down the roof. 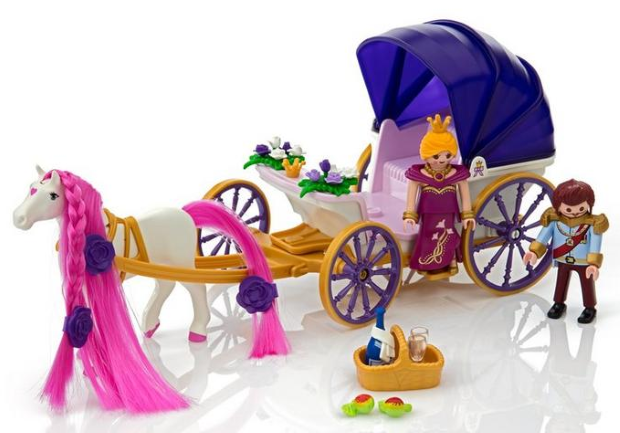 The horse carriage has space for two figures. The horses head can be moved up and down. 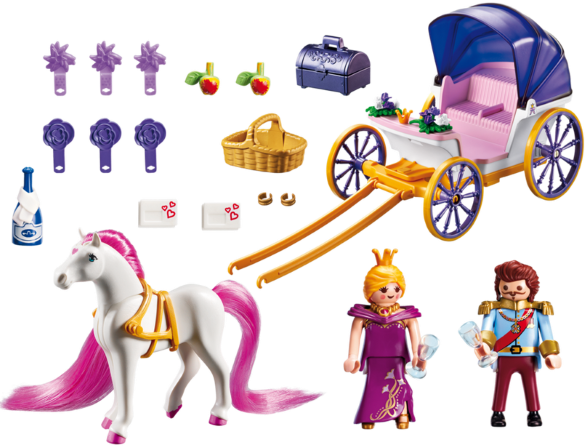 The harness collar is only suitable for PLAYMOBIL horse figure with a realistic mane.